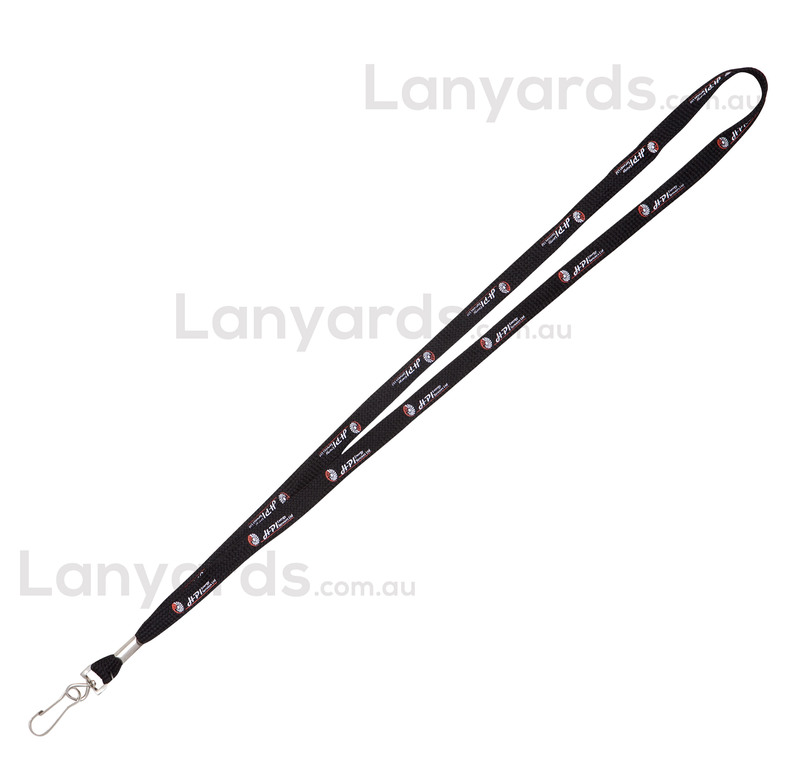 This is our widest option in bootlace style customised lanyards. 15mm width affords you a good print area and is best suited for large logos. The woven polyester material is comfortable against the neck we can screenprint your design along the entire length of these customised lanyards. Bulk purchases means wholesale pricing, plus we have a quick two week turnaround which means we can meet most deadlines. We also offer an extended choice of standard attachments to give you a bigger choice than most standard lanyard companies.